RE is a new concept of camera, allowing you to focus on the moment, and not on your viewfinder. 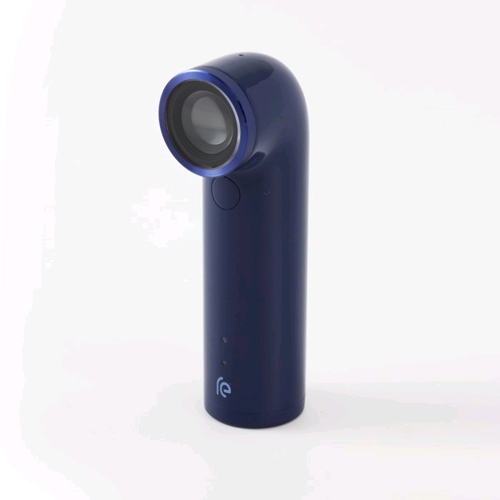 It�s designed to go anywhere, shoot everything (even underwater! ), and works with Android or iPhone. It�s remarkably fun and incredibly easy: one-handed use brings you out from behind your screen and back into the moment. The grip sensor turns RE on when you pick it up, and a single button takes photos with a tap and videos with a press. A wide-angle lens replaces the need for a viewfinder, and waterproof construction replaces the need for a case. 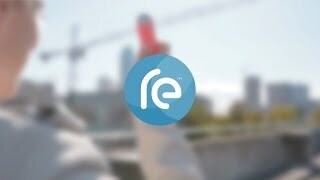 Photos and videos are automatically streamed to your phone and can be instantly accessed via the RE app. Content can be shared easily, or backed up to popular services such as Google Drive or Dropbox. RE is incredibly easy to use - just grab, point and shoot. The grip sensor recognizes when you pick it up, instantly turning it on. There�s just one button for photos and videos � one tap for photos, one press for videos. The ultra wide-angle lens (146o) captures more of what�s around you, replacing the need for a viewfinder. Instantly access your content via the RE app � compatible with iPhone (7 or later) and Android (4.3 and above).